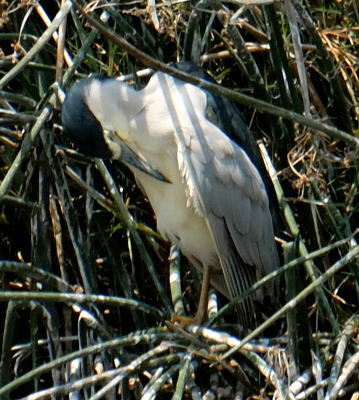 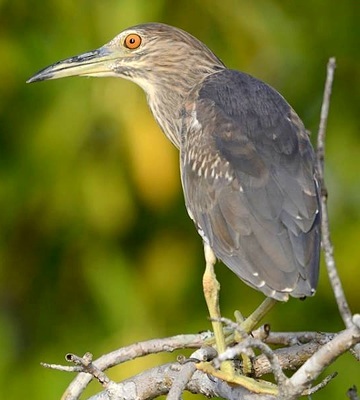 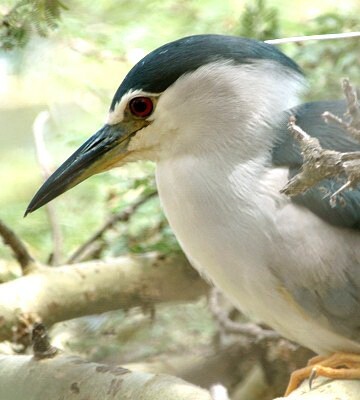 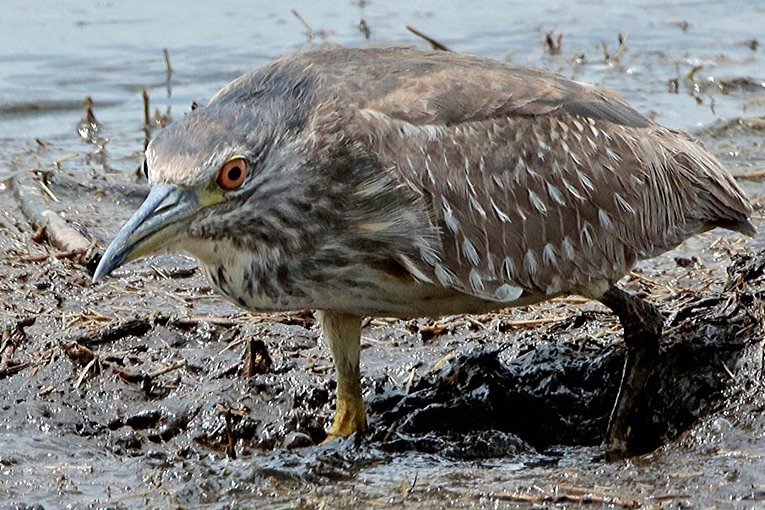 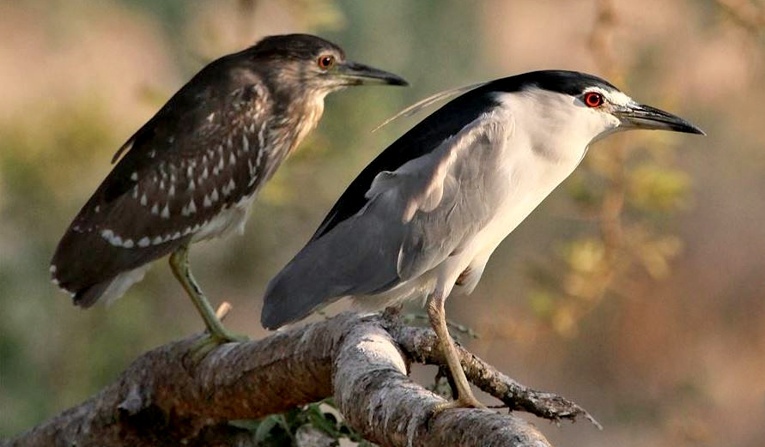 The black-crowned night-heron is found along slow-moving water where it usually feeds after sundown. 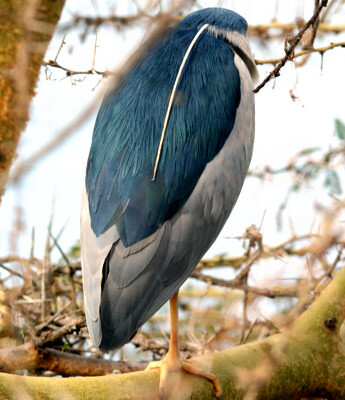 The upper two photos of adults and juveniles were taken in Katavi (7-15), courtesy of Paul Oliver. 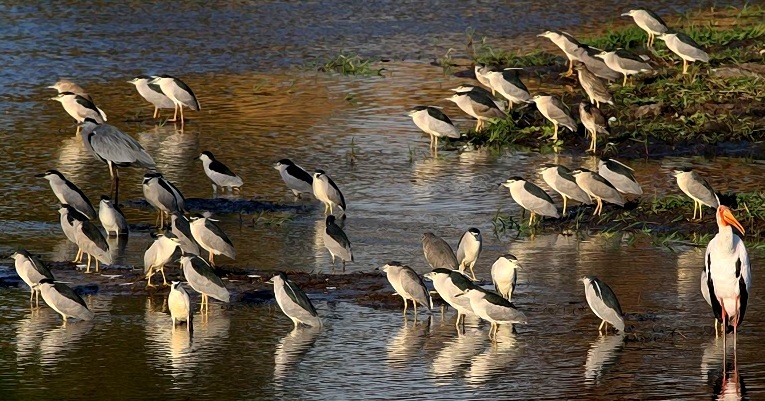 The 3rd row immature (Ngorongoro Crater, 2-17) is courtesy of Karine Van der Vurst; the right 5th row juvenile (Mbuyuni Farm, 3-19) is courtesy of Kim Axmann; the right 6th row juvenile was seen in Pangani (12-14), courtesy of Per Holmen. 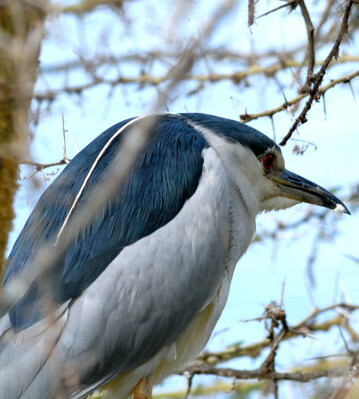 The other photos were taken in Ngorongoro Crater, Arusha NP, Serengeti, Shambarai swamp and Emayani. 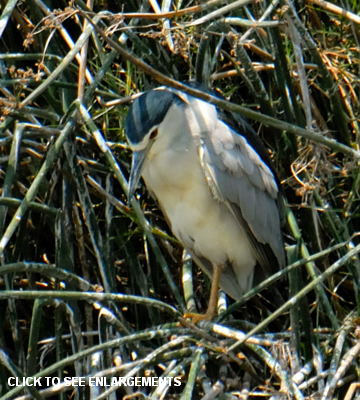 Click the photo above to see 18 enlargements including immatures and chicks in a nest.